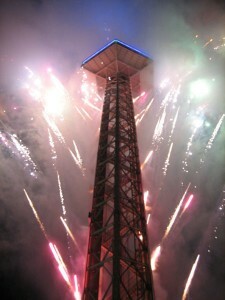 New Year’s Eve 2018 in Gatlinburg and Pigeon Forge offers two great venues bringing the long-anticipated excitement of free concerts, DJ music, specials in local restaurants and theaters, crowds of revelers, millions of seasonal lights and massive fireworks to ring in a brand-new 2019 at midnight. Tens of thousands of people will be outdoors and up late this year on Monday, December 31, 2018. 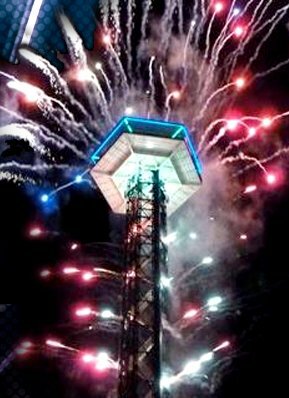 Usually Gatlinburg’s Space Needle draws 50,000 attendees to the New Year’s event, featuring its own special countdown and ball drop from the 400-ft tower, in its 31st Annual New Year’s Eve celebration. At the same time in Pigeon Forge, excitement builds at The Island, providing free entertainment, a countdown, plenty of razzle dazzle, and more amazing fireworks. 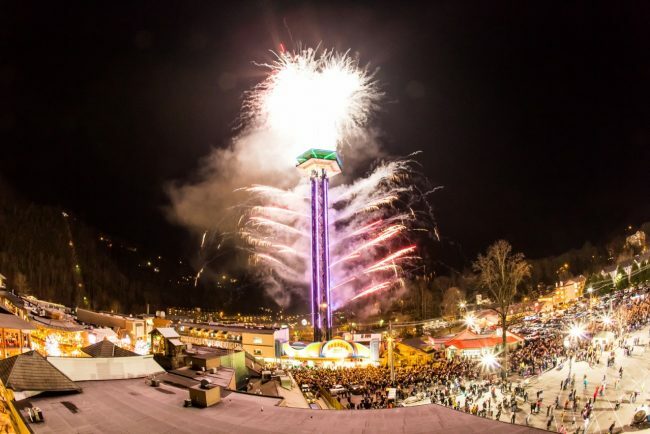 New Year’s Eve 2017 is bigger and better than ever in Gatlinburg and Pigeon Forge, to welcome the start of 2018 with amazing fireworks, free shows, and plenty of other events happening in the evening. 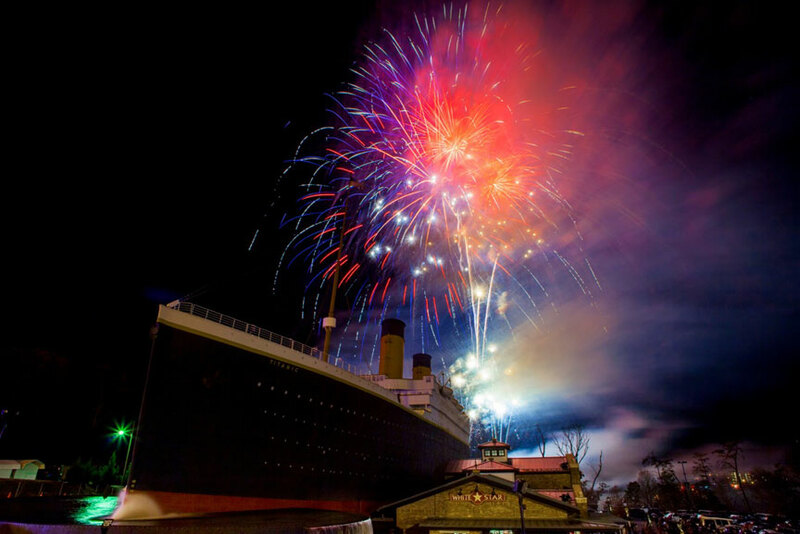 Pigeon Forge is the place to be Thanksgiving evening, November 23, 2017 for the annual fireworks show at the Titanic Museum attraction on Parkway between Lights #1 and #0. The show starts at 7 pm. 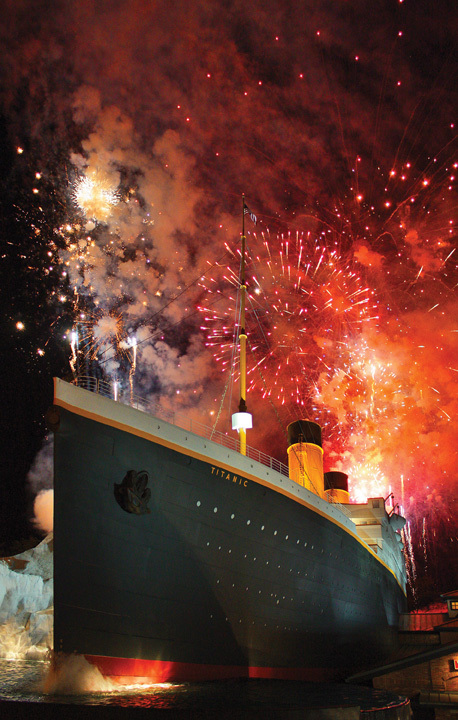 The Titanic offers one of the greatest pyrotechnic displays of the year, and you can easily view it from the large parking lot, or go on board and join the special festivities – if you can get a ticket that is. The Titanic is very popular at any time and this special event draws thousands of people. 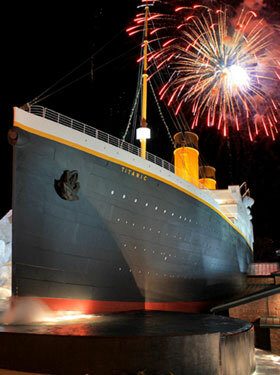 There’s a spectacular fireworks show this Thanksgiving evening in Pigeon Forge at the Titanic Museum. 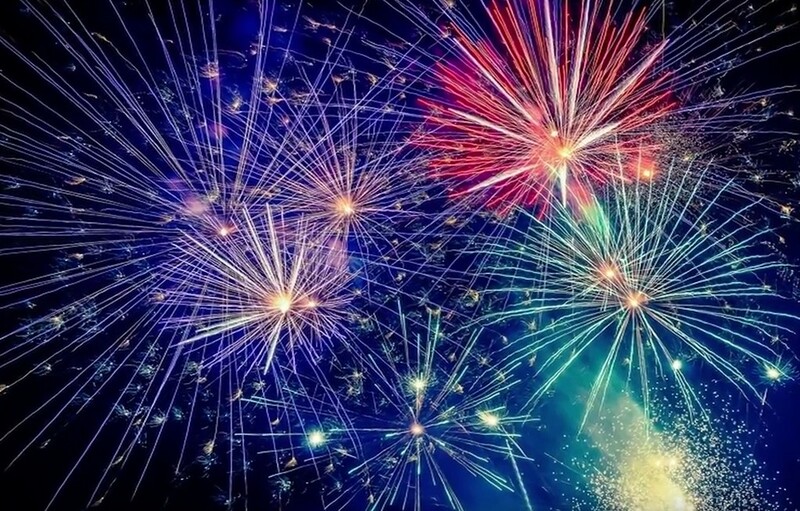 For the 3rd year running, the acclaimed attraction plans to give us the biggest fireworks show of the year anywhere on the Smoky Mountain Parkway. Even more, the big ship will provide a real, live SNOWFALL from snow making equipment mounted in the bow.